In some kitchens, it is all too easy for the contents of the cupboards to spill out onto the worktop. If you need a large work surface on which to knead your bread or roll your pastry, then the last thing you want is half a dozen spice jars, a stack of washing-up, and a wine cooler full of spatulas cluttering up your space. A kitchen from Bear and Woods will be designed with how you intend to use it firmly in mind. In a well-designed kitchen, for something to be within reach, doesn’t mean that it has to be out on the surface. Do you use a lot of herbs and spices in your cooking? We can include a spice rack above and behind the worktop – keeping the work surface free. As part of your initial design consultation, we’ll talk about appliances. Perhaps you have a range that you have used for years and want to be central to the design. Maybe you’ve always wanted a dishwasher (that will solve the problem of undone dishes cluttering up the worksurface) but the current layout of your kitchen prohibits it. We are experts in design and will be able to incorporate or add the appliances that will make up your perfect kitchen. There are alternatives to storing your larger utensils in drawers (or in a pottery wine cooler on the worktop). We can build your favourite knives a bespoke rack well out of reach of the kids. Some commercial kitchens have a magnetic stripe for storing metal implements such as spatulas, ladles and fish slices. The idea doesn’t work in every domestic kitchen but, if you are going for an industrial chic look, this can work nicely. Much is made in the world of interior decorating of the concept of ‘clean lines’. These are lines of sight that are uninterrupted by clutter. A kitchen is a functional not a purely aesthetic space, but that doesn’t mean that you can’t aspire to having a clutter-free worktop. Clutter often isn’t anybody’s fault, rather it is a sign of a poorly designed kitchen. A Bear and Woods kitchen maximises the ergonomic use of space. 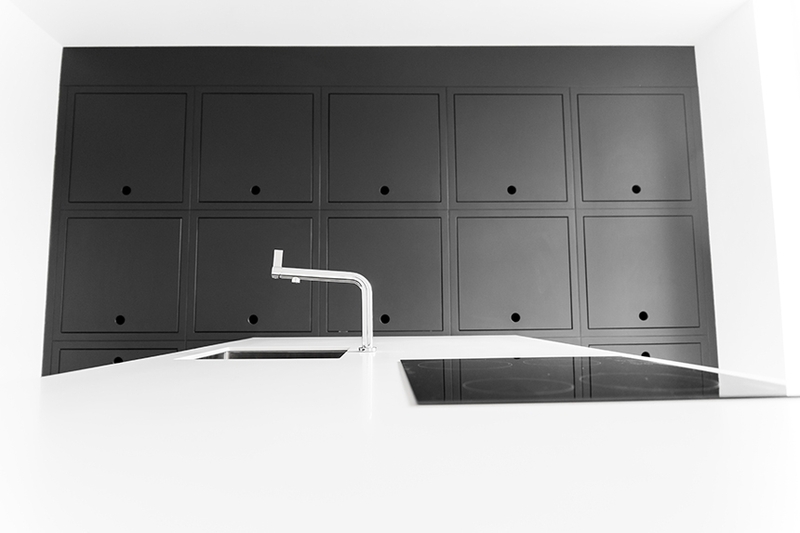 Check out the stories behind some of our bespoke kitchen designs on the website. To arrange a design consultation, call us on 01603 905145 or email info@bearandwoods.co.uk. We’re on Twitter. Follow us for regular articles about kitchen interiors.